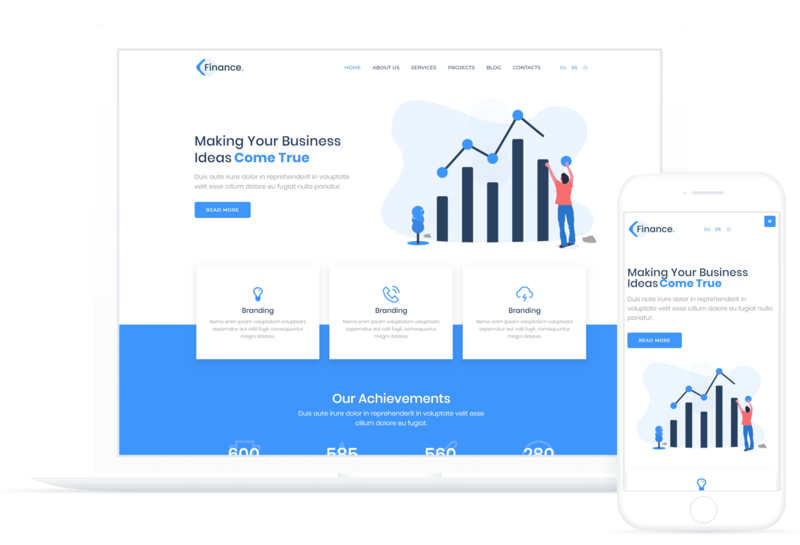 Let us introduce you a brand new Finance Business Elementor skin. Your customers will love its stylish design. And as you know a satisfied customer is the best business strategy of all. Showcase your achievements and results of your work in the form of graphs and progress bars. Let your audience a chance to contact you providing a contact form at the very bottom. Eventually, utilizing Finance skin you will increase your revenue.